Fresh from breaking UK sales records across the board last year, SEAT has continued its momentum into 2018, posting a strong 9% increase in January sales compared to 2017. In a UK new car market down more than 6%, the Barcelona-based brand bucked the trend in its customary style, selling a total of 4,203 cars in January 2018. Its strong sales figures represented an increase of 349 cars on the same period last year and impressive UK market share of 2.57%. 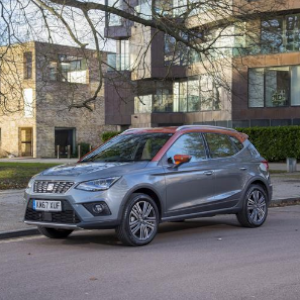 SEAT’s latest addition, Arona, which only launched in this country on 17 November 2017, has got off to a particularly strong start too, with orders ahead of the brand’s own sales predictions. Posting such strong early results, the ambitious brand also shook up the usual sales charts. Its increasingly strong model range is doing a sterling job of attracting both retail and fleet buyers too. On the latter, SEAT continues to increase its market presence. In the UK True Fleet market, a landmark achievement came as it made it into the top ten selling manufacturers list for the first time in January.